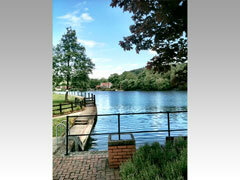 The River Thames looking very beautiful at Hambleden lock. Photo kindly provided by Tom Willett. 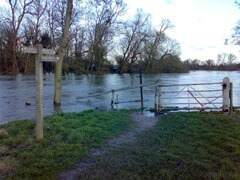 Hambleden (Thames footpath) during the floods of March 2007. 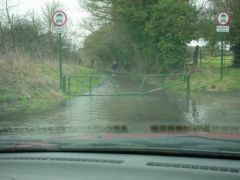 Waders required? 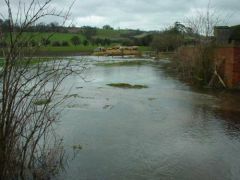 Photo kindly provided by Susie Staplehurst. 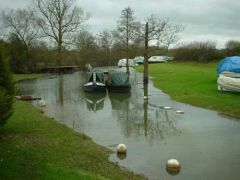 Hambleden Lock (taken from the walkway) during the floods of March 2007. 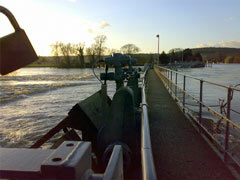 The high water levels at Hambleden Lock from the walkway during the floods of March 2007. 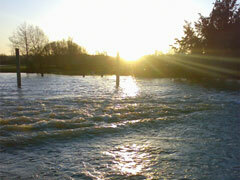 Hambleden Lock (the walkway) during the floods of March 2007. 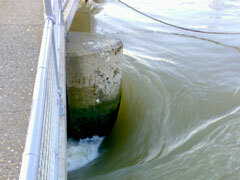 The very fast flowing waters at Hambleden Lock during the floods of early 2001. 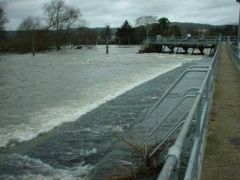 Some flooding by The River Thames near Hambleden Lock. 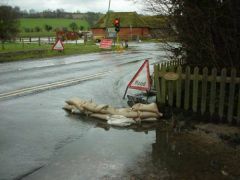 An attempt to keep back the flooding at the Mill End junction near Hambleden. 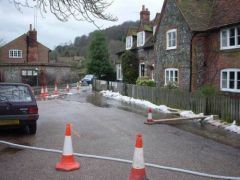 A closed road in Hambleden village during the floods of early 2001. 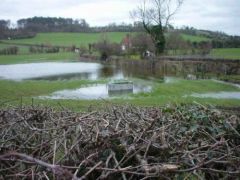 Flooding in the fields surrounding Hambleden village during the floods of early 2001. 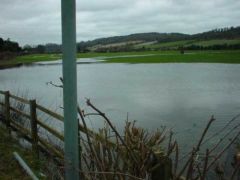 Flooding in the fields surrounding Mill End Farm looking towards Hambleden village. 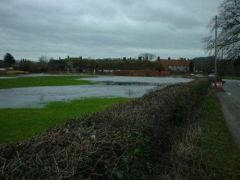 Flooding in the fields surrounding Mill End Farm. 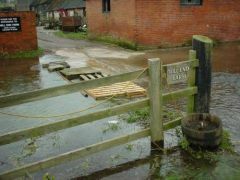 A makeshift causeway at the flooded entrance to Mill End Farm. 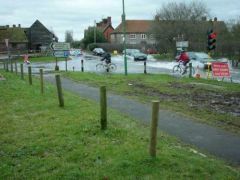 Some cyclists attempting to get through the flooded road to Hambleden village at the Mill End junction. 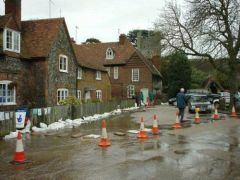 Flooding around the Hambleden area during early 2001. 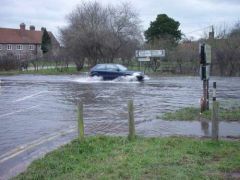 Some cars attempting to get through the flooded road to Hambleden village at the Mill End junction. 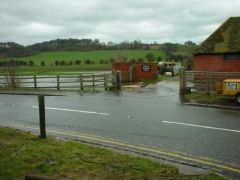 Mill End Farm situated on the outskirts of Hambleden village during the floods of early 2001. 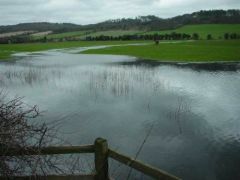 Flooding in fields around Hambleden village under a very moody sky as more rain is on the way. 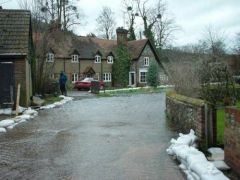 Flooding around some residential cottages. 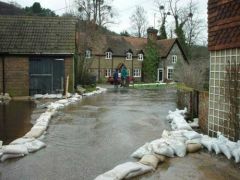 Sandbags are used to try to stop the fast flowing water damaging property. 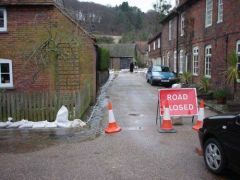 Flooding outside the village Post Office being held back by numerous sand bags. The village church can be seen in the background. 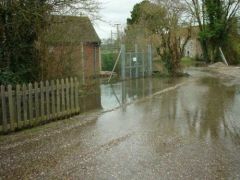 The village hall (to the left) and the Post Office during the floods of early 2001. 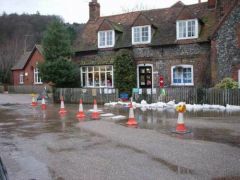 Flooding outside the village Post Office being held back by numerous sand bags. 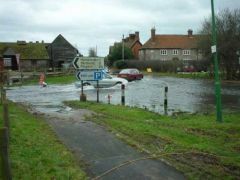 A flooded country road near to Hambleden village during the floods of early 2001.